5.1 kg. , 11.2 lbs. 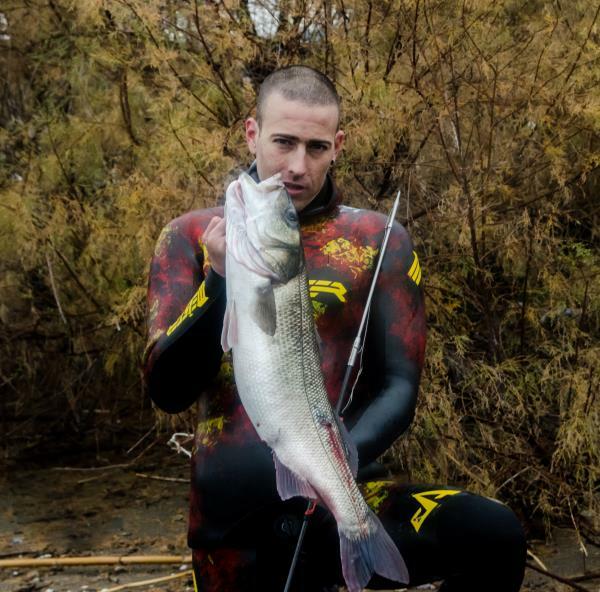 I had been fishing in 12 degrees C water for over 5 hours.Finally the big seabass decided to show up from the muddy water in front of me on the 115th dive!I had to correct my aim quickly and took the shot right when the fish was turning to swim away, hitting in in the back upper part of the tail. I kept swimming around holding the pole and waiting for the fish to run out of energy. Few minutes later i managed to pull it in my hands and only then i realized its actual size!